The path forward for Frontend United. This blogpost has been written as a braindump by the organisers of Frontend United following the latest blogposts announcing the financial difficulties of DrupalCon Europe. Clearly defining the dreams for our conference, might help define a more clear scope for DrupalCon EU. 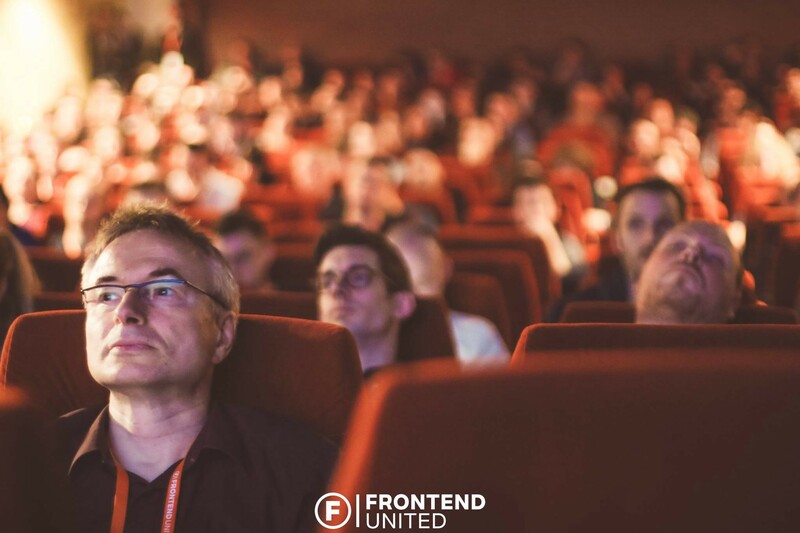 Frontend United is a volunteer-organised, traveling conference within Europe. 8 Years ago there was the need for more frontend-focused content in Drupal conferences, so a team came together to organise it’s first edition. 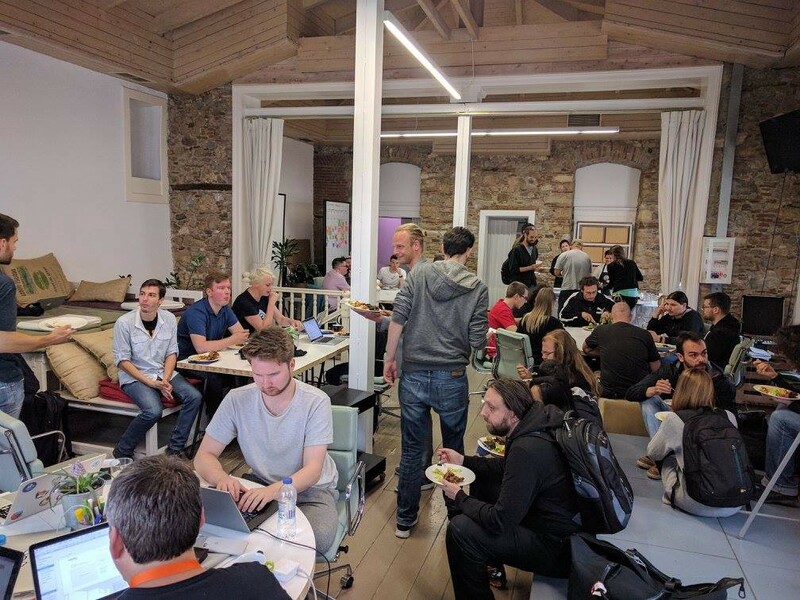 In the last 2 years we were able to bring together around 270 like-minded people for 3 days of focused talks and sprints. 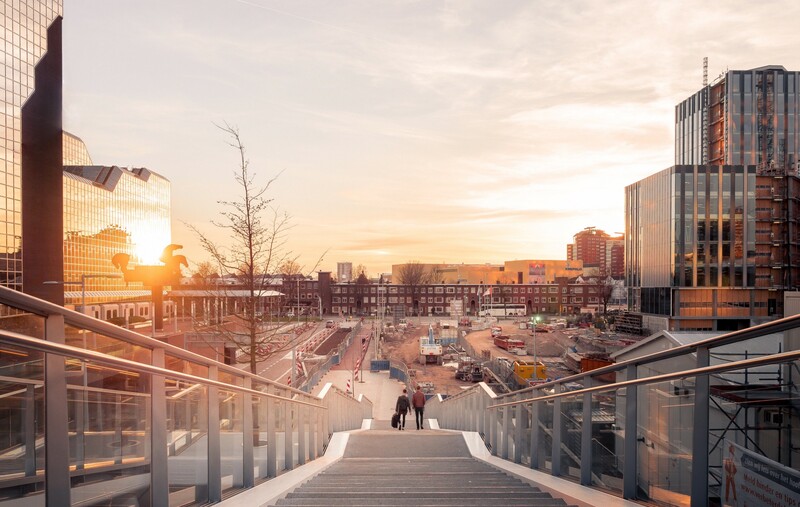 Upcoming edition in Utrecht (The Netherlands) has the benefit of having a big organising team, so we decided that a few of the organisers would focus on trying to scale up the conference in an unusual low-risk way. But before we pitch our ideas, let us first explain what made us think of these ideas, what lessons we learned while organising and what our thoughts are when we observe conferences around us. If you go to a local meetup, you will get food, a couple of sessions and maybe even the drinks afterwards for free. DrupalCamps take this same concept and expand it to around 150 people. Finding sponsors for these events is usually not an issue as most European non-profit Drupal associations we know have a surplus from their last events. 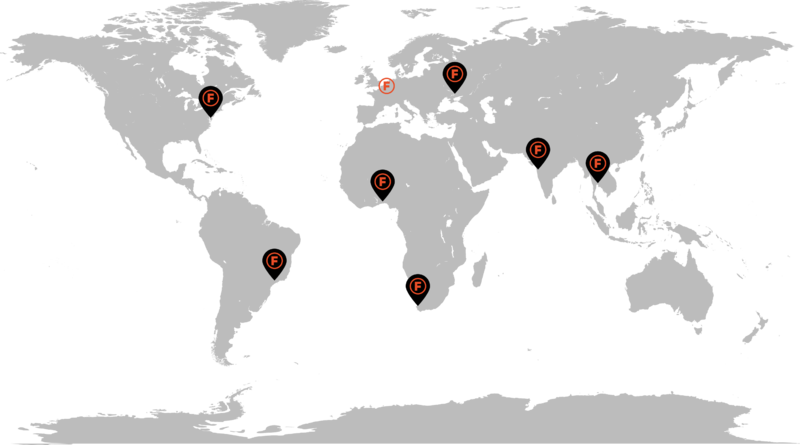 European DrupalCons have conceptually not moved far away from the DrupalCamp scenario. The only real difference being that the venues are 10 times the size, there are 10 times more sessions, the ticket price has gone up tenfold and sponsorship-packages have increased in price. From an attendee’s perspective: the only thing that hasn’t gone up by 1000% is the experience. An attendee has more options of which talks to attend, but in the end will only be able to attend as many sessions per day as in a DrupalCamp. Loads of webagencies are using React, Angular or Vue these days. The decision for choosing one of these frameworks comes mainly through suggestions made by their senior developers. So the more developers you introduce to Drupal, the more agencies will likely adopt Drupal sooner or later. If developers are Drupal-curious, they are likely to Google some information around Drupal, or maybe attend a local meetup. A Con is quite a big step to test Drupal for the first time. Not only because DrupalCon is the biggest part of a workweek, but also the price may be too much on the high side to give it a try. When you invite more known speakers from outside the Drupal-community to a Con, you get 3 major advantages: 1) As a Drupal-senior, you learn something new, you gain knowledge from the outside-in, and you are less likely to trade in a Con for another conference. 2) As a Drupal-novice, you are meeting Drupal-seniors, and you can be helped starting to sprint. 3) Developers from outside our own community will come for the known speakers, and they will get an introduction to Drupal in the meantime. 3) The soft skill of presenting is a tricky beast. The talk of Jeremy Keith at last year’s event actually gave me goosebumps: the questions he got after his talk ranged from finding purpose in life to future predictions of the web. He answered every question as if it was a rehearsed part of a TEDtalk and it gave the whole room an amazing feeling. I have seen great talks from people that know very little and I have seen very confusing talks from developers that know a lot. We have a lot of Drupal-heroes in our community, but this doesn’t always mean that they don’t have trouble verbalising this knowledge. Some like pulling together people in a sprintroom; some love to sprint or help sprint without feeling any deadlines of the normal projects; some love to give inspiring speeches in a pub; some love to give talks and some just attend a conference to get social. Most of us already work in Drupal-companies and have a lot of knowledge-sharing internally. In Europe we tend to also go to a lot of Drupal-related events. Having a DrupalCon that covers the same material as the things we are already surrounded by, tend not to appeal that much anymore - or at least, is no longer as revolutionary as it used to be. Companies tend to not want to sponsor an event abroad because Europe is already very fragmented and so is it’s market. Companies tend to stay close to the market they know best. So finding sponsors across the continent is usually quite a big challenge in Europe. 5) A conference should fit the attendee-personas, instead of making personas fit a conference. The biggest request for Drupalcon Europe seems to be developer-focused, so there are only 2 ways forward. DrupalCon either evolves into a business-first conference which developers won’t complain about anymore. Or it becomes a developer-first conference, that rethinks its current financial model. In doing so, there is no more confusion about what the priorities are. For example (in a developer-first approach): Instead of cancelling T-shirts, we could cancel the expensive catering. We could create a few variations of T-shirts. We could sell sprint-only tickets that come with comfy sprint-socks. Instead of raising ticket-prices to meet the costs, why don’t we keep the ticketprices low enough and host the event in less expensive countries to travel to? 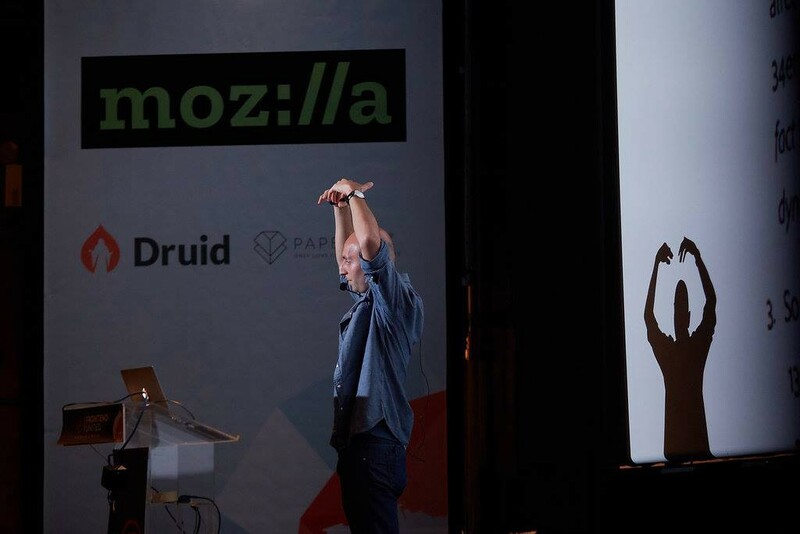 The main idea here is that the size of DrupalCon is only highlighting the problem in the EU. The problem being that offering an event that every persona loves, won’t work. We all know this expression from when Drupal evolved from inventing everything by itself, to adopting already-existing code from different frameworks. I can’t stop thinking about how good of an analogy this is for the current problems of DrupalCon. Instead of having every edition of DrupalCon customly made by the same team , I think a clear path forward is to have it created from people with more knowledge in the areas required, being local teams mainly. With this, I don’t mean that the current team shouldn’t be involved anymore. But their work should be highly dependant on the knowledge of a local team. Drupal 8 has become a lot more standardised, and so the learning curve has become a lot less steep. Due to this adoption of code, Drupal has expanded in into other technologies and in doing so, has become less funky to work with. Code that is “proudly found elsewhere” has proven to be a good path forward, but this also means that to be a good at our job, we now have a bigger pool of resources to learn from. It’s close to impossible to know everything from Frontend to backend, so people tend to specialise in a particular direction. Organising a conference that covers as many topics as possible is doomed to fail sooner or later because we are now almost compatible with anything the web has to offer. We will be contacting other (Drupal-)communities to hold Frontend-United Spinoffs on the same weekend as we are having Frontend United Utrecht. For this, we will set up dedicated live-streams that only the organisers of the spinoffs will have access to. We would then create T-shirts and ship them to each location before the event kicks off. For example: Let’s take the possibility of a Spinoff in Mumbai (India) and how this would work. A few volunteers from the local Drupal-commmunity take control of finding 2 rooms with a projector for each. Then, each room would show the livestream of a certain track during the event. Next to that, all they would need is a sprintroom to host sprints and that’s it! We will ship (timezone-adapted) booklets and T-shirts with a (likely Indian) sponsor featured. And during the event we will take questions through Twitter so that everyone at each spinoff can participate. We won’t have a public livestream because otherwise we wouldn’t be able to get people together in the same room to socialise. We will set up Eventbrite-tickets for this Frontend United Mumbai. The price for a ticket being the sum of the total costs for printing the T-shirts and the booklets in the Netherlands and the additional shipping costs. All the extra’s would then come from your local sponsorships, which we will stay out of. This way every spinoff has the autonomy to organise how they see fit. This makes the event as inclusive as possible because we would be able to host in a lot of different places. But it also makes it fun! If you love to be in a country abroad for a conference, you can decide to go to any spinoff you like. The price of a ticket for Frontend United has always been very low, but this doesn’t mean it‘s cheap to travel to Utrecht from anywhere in the world. This would mean for example that even if you don’t have a spinoff in your own country, you still get to go to the closest hosted spinoff. Which in turn gives the same cosy feeling we get as if we go to a camp. If there is no close spinoff, you might want to contact us to set one up yourself. We will discuss internally about any request for a spinoff that comes in. One reason for this is that we wouldn’t want to have no one showing up at the main event. So it’s very likely we won’t be allowing spinoffs in neighbouring countries unless you come up with some good motivation. Every Spinoff can create their own set of extras and variations, however they see fit. This could be coffee and snacks, no sprint-room, only show the main-track, social/cultural events and so on. We would love it, if every spinoff could make a livestream of their own, so we can set up a big cosy digital sprintroom for example. Next to that we do have a code of conduct and a diversity statement that every spinoff will have to agree upon to organise under. We need an dedicated Master of Ceremony, and not just someone from the community. But someone gifted in speaking for large crowds and having sessions of their own. So we will be having a well known speaker from the frontend-community to keep the spark alive, and to give the right amount of attention to whoever they are announcing. We hope with this result, instead of swiping through Twitter, just before the speaker starts. Everyone will know who the speaker on the stage is, what they represent and what can be expected. Frontend United never offered a sponsor booth for it’s sponsors during the event. Because this usually gives the idea that everyone should have a bussiness-card and go give it to as many people as they can. Most of us already operate in a corporate culture, no need to assume it needs to be the same way during a conference. We also keep the prices ridiculously low compared to conferences that have the same quality of speakers. This way it’s easier to convince your boss and this way we are as inclusive as possible (financially). Next to that we have a diversity statement and a CoC. Because the experience for each attendees is more important than anything else. The most social week of the year. For freelancers, and for employers sending employees, the biggest cost is not working. Loads of convincing happens by promising (to yourself, or to your employer) that you will be keep working or at least be on standby. One of the most exciting things of going to a conference is exploring the city it is held in. You get an AirBnB in the centre, you enjoy the culture and you learn local things. If this trip takes a week instead of a few days it could be more enjoyable for quite a few of our attendees. Knowing that our sessions would be held on Friday and Saturday, we would be planning on selling sprintday-tickets for every day of the week starting from Monday to Thursday. This ticket would each time be for a very low price (between €5 and €20), but this means that your employer (or your accountant) has a reason for every day you will be in Utrecht, and have something on paper to show what you were there for. This means that you can fly over on Sunday before the conference and come and sprint for the full week. As an exception you can then of course also come to quick-fix that Friday-deploy from the week before. Beware: we will be looking in to setting up a refundable ticket (or maybe just a poll), to see how much interest there is for this tryout. In case there is low interest we might not be able to accomodate for a low number of tickets. Interest in participating or want to share your thoughts? Drop us a line on Twitter, email us on info@frontendunited.org, or find us walking around at DrupalCon. Or use the below comment section!